Rubenerd: Leopard surprises me in February! Leopard surprises me in February! Isn't it crazy that it's February already? 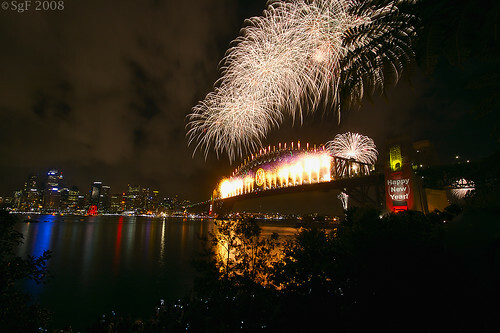 It seems like just a week ago I was in Sydney watching the New Year's fireworks going off on the Harbour Bridge! Time flies is probably one of the most abused, overused and tired cliches we humans have ever dreamed up, but it's just so damned fitting! On the subject of calendars, despite the fact Mac OS X Leopard has been out for a few months already it's still finding ways to surprise me. Case in point I just reinstalled the OS on my MacBook Pro as part of my quarterly hard disk cleaning and I still had the iCal icon in my dock. See anything unusual? It seems that the default behavior in the Leopard version of iCal is to show the current date even when it's not running! Previously you would need to launch iCal and have it running hidden for it to show the date, now it just shows it just by being there. Very nice! This is some of the widget functionality that I originally thought OS X would have after seeing how modular and functional the dock apps were in NeXTStep and OPENStep. I've long since got used to having the battery indicators and volume controls in the menu bar, but they seem the perfect candidates for little dock apps. And how about this February in 2008 already? Isn't it crazy!? Newer post ← Microsoft and Yahoo? Better close my accounts! Older post → Twitter is down again!